The 1980s were a wild time for the Chrysler Corporation. After narrowly avoiding bankruptcy and getting a bailout from Uncle Sam in 1979, Chrysler was looking to regain its footing in the market and return to financial stability. Lee Iacocca took over as CEO and pulled off one of the greatest comebacks in the history of American business, but the road to recovery was undeniably a rocky one. We’ll get to the TC in a moment, but first, some background information is necessary. In 1981, Chrysler revived the “Imperial” brand as a personal luxury coupe to try and compete with Lincoln. Based on the much cheaper Cordoba, the Imperial was expensive and produced a pathetic 140 horsepower from its 318 cubic inch V8 engine. While technically advanced, it was a commercial flop and Chrysler threw in the towel after just 3 years and 12,385 units produced. In 1985, Chrysler formed a new corporation with Mitsubishi called Diamond Star Motors in order to import compact, fuel-efficient cars from Japan and sell them in the U.S. market. While the Eagle Talon and Mitsubishi Eclipse sold well, the badge-engineered version called the Plymouth Laser struggled in sales compared to the other two. Introduced in 1990, the Laser was an initial strong seller with 42,105 cars produced in the first year. However, sales fell in each subsequent year, with just 5,284 cars sold in 1994, the same year production ended. Total sales of the Laser were 115,981 over 5 years. In March 1987, Chrysler plunked down a cool $1.5 billion dollars to acquire American Motors Corporation, bringing Jeep, Eagle, and AMC into the Chrysler family. In April 1987, Chrysler purchased the financially-troubled Italian supercar maker Lamborghini for $25.2 million dollars. They made a bunch of awkward prototypes, then decided to turn around and sell Lamborghini in 1993 after 6 years. As you can tell, Chrysler’s business plan seemed to consist of a bunch of half-baked product launches and strange acquisitions and alliances. “Misery acquaints a man with strange bedfellows” wrote William Shakespeare in The Tempest. That was certainly the case when Chrysler partnered with Maserati to create the TC. Chrysler established a partnership with Maserati in 1984 to create a sports coupe, and the concept car was shown to the press in 1986. This vehicle was supposed to combine Chrysler’s manufacturing capabilities and sales network with Maserati’s image and performance tuning expertise.The two-seater car was designed as a grand touring convertible, with ample power and technology and a sporty but not overly firm ride. The car was originally slated to go into production in 1987, but manufacturing delays pushed the TC’s launch back until 1989. Chrysler shipped the engines to Italy, where they were installed into the mostly handmade bodies, with the finished cars being shipped back to the U.S. for delivery to buyers. The Chrysler TC’s powerplant was a Turbocharged Inline 4 cylinder engine in its first year, and a Mitsubishi V6 engine was available after that. The car was well-equipped with a leather interior, 10-speaker stereo system, and power seats, windows, and locks. However, the TC faced problems from the get-go. 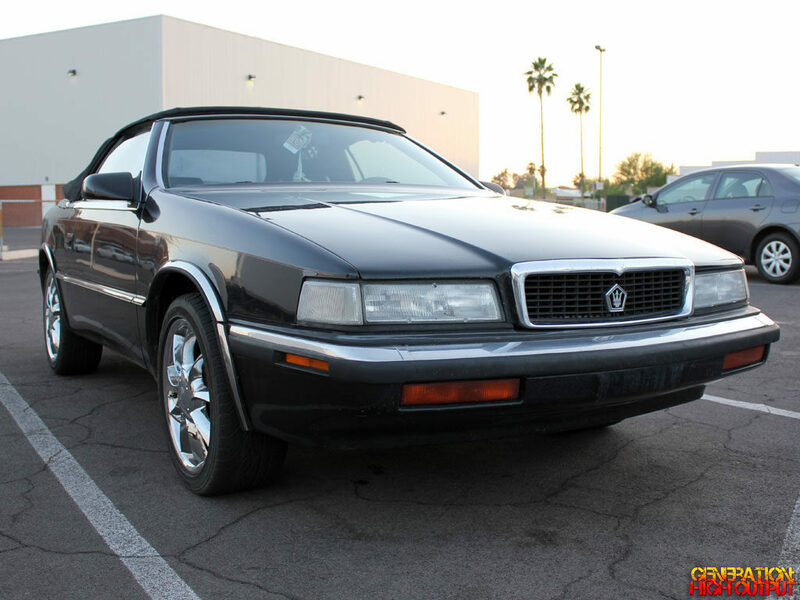 For starters, the $35,000 price tag was nearly double that of the similarly-equipped and similarly-styled LeBaron convertible. The car also faced competition in the luxury coupe segment from the Lincoln Mark VII, Cadillac Allante, Buick Riviera, and European rivals such as the Mercedes-Benz SL and BMW 850Ci. Like many of Chrysler’s other projects during the 1980s and early 1990s, the TC did not sell well and was discontinued after 3 short years, with final production of just 7,300 vehicles. You don’t see a ton of Chrysler TCs on the roads these days, as they are one of the smallest produced mass-production cars from a major automaker, similar to the Lexus ES250 that I covered a while ago. It was worth snapping some pictures of this TC, which I saw in a parking lot in Mesa, Arizona. As an interesting aside, Chrysler wasn’t the only one to take a beating in the personal luxury coupe arena. 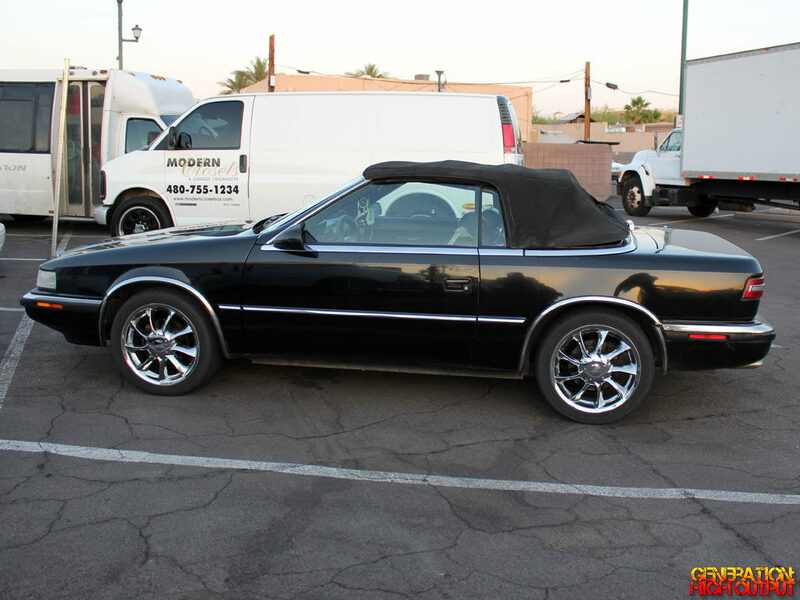 The Volvo 780 has an unbelievably similar story to that of the Chrysler TC! The Volvo 780 was a partnership between Volvo and Italian design firm Bertone. They teamed up to build a 2-door luxury coupe that was introduced in 1986. Like the Chrysler, the Volvo 780 also had a turbocharged 4-cylinder engine and a V6 engine option. It was similarly equipped with a leather interior and power seats. And just like the Chrysler, the expensive Volvo was not a hit with buyers, who balked at its $34,785 price tag in 1987. The Volvo met a similar fate, with just 8,518 units produced during its 4-year production run. 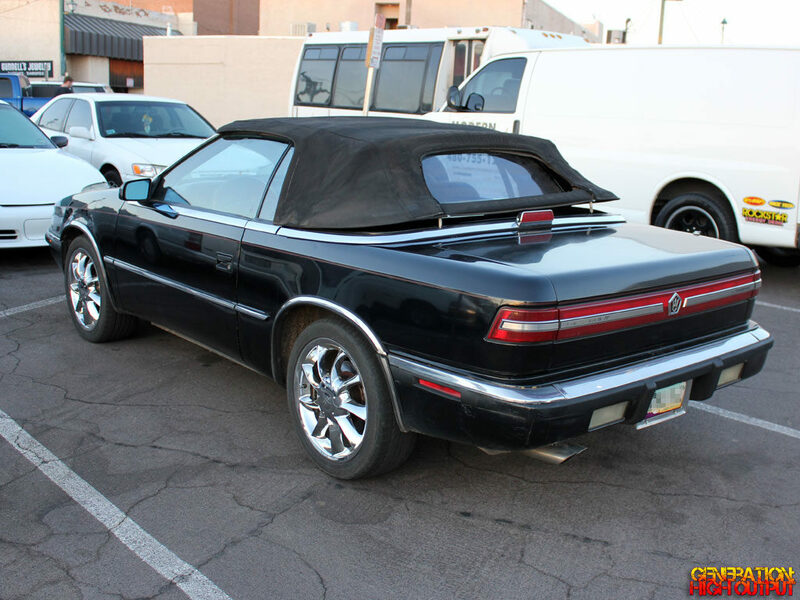 This entry was posted in Curiosities and tagged 1980's, chrysler, luxury coupe, maserati by Trevor Freeman. Bookmark the permalink.